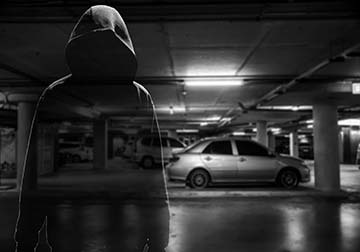 Sadly, reported cases of stolen vehicles in Alberta are on the rise. If your vehicle or your license plate is stolen, it’s really important to contact the police right away. If you are in Calgary, please call the non-emergency line at 403 266-1234. Remember that you should also come into Registries Plus to cancel your registration to avoid being held responsible for damage or tickets caused by your vehicle or by a vehicle with your plate. You also need to beware when purchasing a used vehicle. The VIN should be located in two placed – one is on the inside of the driver’s door and the other is on the dash on the driver’s side, adjacent to the bottom edge of the windshield. Check both of the VIN plates to ensure that they match and that they don’t appear to have been tampered with, removed, replaced, etc. It’s a good idea to take a photo of the the VIN plate with your phone. We always recommend doing both a Lien Search and a Vehicle Information Report before purchasing a vehicle to make sure that the vehicle does not have a lien registered against it and is not salvage, out-of-province, etc. However, even before you do that, use the Canadian Police Information Centre website to do a free online stolen vehicle check. Remember that this does not guarantee that the vehicle isn’t stolen, but it’s a good first step and costs nothing.